How to Sell Liquidation & Clearance Stock on eBay! How to Buy/Sell Clearance Stock on eBay! On my blog and training courses, I mostly talk about brand new stock sourced from wholesalers or imported from China. But what about liquidation and clearance stock? Can you make money by buying and re-selling such stock on eBay? In today’s post I’ll share my thoughts on this subject to help you make a more informed decision before you venture into such business models. Real liquidation stock. As the name suggests, this stock comes from the liquidation of shops/companies. For example, when a shop closes down, the stock that’s left after the final sale gets sold in bulk or smaller lots as liquidation stock. Usually, these goods are brand new (can be off shelf, with price tags attached). Clearance stock/overstock. These are goods that can’t be sold as planned, which business owners simply want to get rid of to clear shelf space and improve cash flow to order new stock. Again, this is usually brand new stock, in original packaging and can come with or without price tags, depending on the stock type and whether it was displayed in a retail shop or stored in a warehouse. Customer returns. These are simply products customers have returned for various reasons – they didn’t like the colour, model, the item was defective or for whatever reason they simply used their statutory rights to return goods within 14 days of purchase. Tested & working. This means that the return has been tested and the item is in working condition. Boxes will most likely be opened and have some signs of use. Un-tested. Stock like this means it hasn’t been tested so you can’t know if products are in working condition or not. In most cases, this is faulty/damaged stock that can only be re-sold as parts OR as used goods if you can fix the problem. New, boxed & un-opened. This means that product is still in its original, un-opened packaging. Sometimes boxes themselves can have some slight signs of wear (like scratches etc.) but in general, this stock is like brand new and usually sells for almost the same price as wholesale. Many companies will use their own grading system, for example Grade A stock, Grade B stock etc., with an explanation on what each grade means. The important thing here is to understand that NOT ALL customer return goods are the same and you have to be very careful when ordering such stock to avoid the disappointment of receiving items that cant’ be re-sold. Where to buy such liquidation, clearance and customer return stock? While many smaller companies may deal with such stock by themselves, e.g. selling it off on eBay or liquidation stock marketplaces, most big high street retailers will use a middle man to get rid of such stock quickly and with no hassle. These ‘middle men’ are often called liquidation houses, clearance houses, wholesale clearance houses and various other fancy names. They all basically mean the same thing – these companies buy truckloads of stock from high street retailers and catalogue companies and re-sell them in smaller lots or pallets to eBay, market sellers and even the general public. You can find many more such companies in this free trade directory. There’s another type of ‘middle man’ in this business – online companies/websites that work pretty much like eBay, just in the wholesale clearance niche. What they do is allow companies to list their clearance stock as auctions or buy it now listings. Buyers can then bid on auctions or buy stock directly from these BIN listings. By the way, eBay also has a Wholesale & Job Lots category where you can find thousands of daily deals for liquidation, clearance and customer returns stock. If you’re just starting out with this concept, eBay is actually a good place to begin as most of you are already familiar with how it works plus on eBay you can find very small, cheap job lots you can start with. Another place where you can find various deals for clearance stock is The Trader magazine. There you’ll find contact details for clearance houses as well as ads for one off deals in the classifieds section. So finding items is really not the problem – there are so many companies dealing with this type of stock that you always have plenty of fresh offers to choose from. 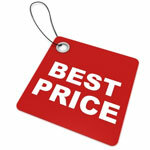 The biggest problem is finding the BEST stock that can be re-sold for the BEST prices on eBay! How to buy clearance stock for resale on eBay! Most clearance stock sellers are very smart and often take advantage of uneducated, newbie eBay sellers. They sell pallets of mixed goods showing crazy RRPs (recommended retail prices) and the ‘huge’ discounts they offer. It’s not unusual to see a pallet being advertised with a RRP of £2000, selling for just 10% of that – £200. Very often these are un-tested customer returns (basically faulty goods) with inflated RRPs. Obviously; you won’t be able to make any profit from such deals unless you’re able to repair the goods yourself or you buy them cheaply enough to sell as spare parts. So the first thing you want to master is how to separate good stock from bad stock. Un-opened, brand new goods in original packaging. With this type of stock you can make calculated decisions based on buying and selling prices. I would recommend staying away from any un-tested goods, especially if electronics are involved. It’s simply not a viable business model to buy such pallets and hope to find a few items that are in working condition. Next, you have to learn how to check products’ REAL prices. By real prices I mean prices these products are currently selling for on eBay or Amazon. Don’t take supplier’s word for granted! The RRPs they usually use are inflated, outdated and simply do not reflect a real life situation. So what you do is take a product and do some basic Terapeak research to find out what kind of price you can re-sell it for. If you don’t have a Terapeak subscription, simply do a search on eBay and Amazon to see the average selling price for this product, based on its condition (used or new). When buying MIXED pallets (pallets with various goods), make sure ALL GOODS are clearly listed so you know exactly what you will receive. It’s not enough that the description says – 10 LCD TVs! You want to know the exact brand and model for EACH product in the pallet! DO NOT buy pallets that don’t come with a FULL list of contents and a description of the goods’ condition!!! That is unless you want to gamble. I’m not a gambler so would never recommend anyone buying mystic pallets with God only knows what in them. Most wholesale clearance companies will have good deals in place with shipping companies and will offer you delivery of pallets to your door, at added cost. Prices start from around £50-£60 per pallet but go down as you buy more. Just make sure you add delivery costs when you do your calculations. If there’s just 10 items on a pallet and it cost you £60 to deliver it, it means £6 added on to each item’s base cost. 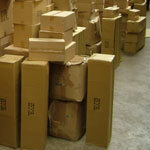 Alternatively, in most cases you can arrange your own delivery or even pick up goods from the warehouse on your own. Check where the company’s warehouse is based on Google Maps and if it’s not that far away from you and you have a suitable vehicle, save some money by picking the goods up on your own. Sometimes it’s even cheaper to rent a van for a few hours, if the location of the warehouse is within a short radius of you. You can and SHOULD make these calculations BEFORE you order any goods! To make your life simpler, use 15% as a ballpark figure for eBay and PayPal fees. Shipping costs will depend on the item’s size and weight and you can check prices for smaller items on Royal Mail’s website and for larger items; check some of the courier comparison sites like ParcelMonkey.co.uk or Parcel2Go.com as these will usually offer better prices. What kind of profit can you make? Totally depends on what you can buy from these wholesale clearance companies. I wouldn’t go for anything lower than 20% in terms of ROI for items cheaper than £50 and maybe as low as 10% for more expensive items (£100+). ROI (return on investment) is very easy to calculate – you simply divide your target profit by the item’s cost price and multiply by ten. You should be confident that you’d be able to re-sell ALL the items you purchase otherwise your ROI will be altered vastly (in a negative direction!). Try to stay away from seasonal and trendy products if you’re not 100% confident you can move them quickly. If the price is very good, you can of course deal with such goods too as with a low price on eBay, it will be very easy to sell them off. Ideally, you should be a Top Rated Seller on eBay to deal with clearance stock, as TRS status will give you an advantage in search results over your competition. If you’re not a TRS yet, check out my guide on how to become a Top rated Seller in 30 days here! Create an outstanding listing. Yes, even if you’re selling used goods. Check out my eBay listings anatomy guide here and my listing formatting tips here to learn how to create fantastic looking listings that increase sales in no time. Take good product pictures. This is actually more important with used goods than it is with new goods. When people buy something brand new, they expect perfect condition, as it should be. When someone buys a used item, its condition is a HUGE factor in the buying decision process. Help your customers and ease their worries by having multiple, high quality images that show off the product in various angles, including a few close-up pictures. Check out my Product Photography tutorials for more tips. Describe goods accurately. If there are scratch marks on an item, don’t try to hide them! Make an image and clearly describe any defects the product has. Not only will this avoid negative feedback problems later on, it should also increase conversion rates as buyers will see that you’re honest and don’t hide any facts about the product up for sale. Warranty. By law you don’t have to provide a warranty but if you really want your buyers to feel confident about purchases and increase conversion rates, I would recommend providing a 30-day warranty even for used items. This is in addition to the 14-day returns policy. As to which listing format to use – BIN or Auction – ideally you want to use Buy It Now (BIN) format as then you know for sure you’ll reach your target profit when an item sells. But sometimes it may not be possible, especially IF you’re not a TRS or the item is in a very competitive market. In cases like these, you can still use auctions, auctions with a reserve price (not recommended) or auctions with a starting price that is close to or the same as your target selling price. This means the first bidder will actually reach your target price and you’ll make your pre-calculated profit. As I said, ideally you should be a TRS and use BIN listings for these items so you know exactly how much money you’ll make once an item is sold. Can you make this work? You bet you can! Is it easy? No, it’s not. Is it viable? Yes, but only if you’re prepared to work long hours for relatively small profits. This concept can be good for people who don’t have enough money to import from China or buy from real wholesalers but still want to start selling on eBay and hopefully make some money along the way. Risks are relatively low AS LONG as you stick with the general guidelines covered in this post and use common sense. Never buy un-listed stock in an unknown condition. Always do calculations of costs and potential profit BEFORE you buy any stock. Alternatively, you can also start a profitable eBay business with used goods! This in essence is a very similar concept to clearance stock and in my opinion actually gives a far better return on investment. very helpful and full of knowledge…. Hi this was super useful however does anybody know how to become an approved seller of the Arcadia clothes I only know of 2 shops in the uk who all have current season stock and their stock is classed as customer returns or seconds however I cannot find anywhere or anyone who will supply and neither of the shops will divulge their supplier. I have tried tirelessly for months to research still with no luck I have even been to Arcadia Head Office and still no luck. Any help would be appreciated. I’m sorry Claire but I don’t have any advice on this…. I had a quick question so if we are buying liquidation and it has a BSR of more than 5000 on amazon . Does this mean it will not sell or it will not sell as fast ? Thanks for this. I’m really glad I bumped into your website. It’s been a real life saver and I’m determined to learn more here. What is your overall experience and have you purchased from blueribboncloseouts.com? I am planning on buying 26-28 pallets from them, firt time i do this. Any insight? Sorry, I have never heard of that company so can’t really comment on them. I did some temporary work recently and part of my job was to sort through the old stock to be thrown out into categories: plastic, paper etc etc. Some of this stock was brand new and perfectly fine so it seemed a shame to throw it straight in the bin. I’m talking things like brand new packaged batteries, light bulbs etc. What are the legal implications of selling these on eBay? I should stress none of this is faulty stock, it is packaged and was simply part of larger kits which contained obsolete parts which I did not recover. I can’t see any problems with selling stock like this on eBay really. So you can definitely do that. You mention liquidation stock but i dont seem to be able to find any in the links. I also cant find pallets such as what you have mentioned, with full descriptions and tested. All the companies I mention, give links sell clearance stock. Not sure why/how you can’t find them. I think this is an amazing guide and I am going to put it into practice, I appreciate all the help that -you are offering. I am trying to hit the ground with all the relevant information I can to ensure the longevity of a business in this arena. Hi, do you have any recommendations of who to sell ex sample bridesmaid dresses to? I’m closing my business and finding it hard to get rid of them all? You could sell them off on eBay. Or contact liquidation companies mentioned in this post and see if they’re interested in your stock. When you mention about providing 30 day warranty, is that additional to the 14 days? To become a top seller I believe you have to provide 30 days returns, but would you then also allow an additional 30 days? Also how would you word it? Would I actually be supplying a warranty or a guarantee? or just a further 30 days return. Yes, as of today, 30 day returns are mandatory (not at time of writing this). So basically now you ether offer standard 30 day returns or can expand that. I wouldn’t increase returns period though as 30 days is enough in my opinion BUT what you can do is offer some sort of warranty for the product, especially if it’s high priced item. hi do I need to be a registered business to but from argos clearance, was going to buy a little clearance stock and see how it goes before taking the plunge and registering as a business. No, I don’t think you need to be registered as business to buy from Argos Clearance but to be sure, ask them directly. Some titles are still in the cartons from the printers but others have been unpacked but can be repacked in varying quantities. Same Amazon is really best for book sales. If people don’t buy them, well, then maybe they’re not good enough…?! I’m not an expert in books though. Some of the titles are worldwide million sellers ! and some are by International best seller Anthony Grey about his time as a hostage in Peking in the days before hostage taking was the in thing. I don’t want to dump them but they are filling my spare bedroom on office racking . I guess I’ll have to take a pop-up shop somewhere and see if I can move them like that. Take pity on my back though. Perhaps I should take a new website with a catchy name to draw attention, Any suggestions?? I don’t think website is a solution Sonja – how will you get traffic to it? Amazon is the number one place people usually go to buy books online, hence it’s the best platform to sell these. maybe you price them too high and that’s the reason you’re not getting those sales in. Yes, you can open an eBay UK account being outside UK, that’s not a problem. To start selling you’ll just have to verify your phone number, set-up payment method and that’s it. I need to clear some stock and I am already using some clearance website. Is there any other way I can sale it out quickly? I would love to use ebay but my ebay account is already selling restricted. All suggestions will be more than welcome. I’m not really into clearance stock so not sure what else you could do, apart from eBay. I am about to open an Ebay shop. Now I am ready to start selling used and new DVD’s , which I’ve ordered Wholesale stock right off Ebay itself. Since I own a Terapeak yearly subscription, I believe selling used goods is doable. Of course, after completing research. And using SAT in all my listings of course! Thanks so much, and will keep you posted as well. Good luck with your new venture Goran! Love this post really as made my mind up that am going to do this as full time career starting within the next few weeks. After spending hours of looking websites and pallets I have decided I am going to buy to audio and kitchen appliances. After looking at the pallets costs and the RRP’s there is money to be made but the RRP’s are hugely inflated. The Reason I have picked audio and kitchen appliances is because nearly every household as them as they are products that you need, not want. Most house will have a washing machine,fridge freezer and cooker. There is more then eBay to sell your products…. 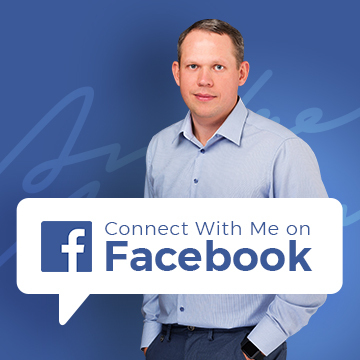 I have found over the last few years that Facebook and gumtree are very strong sales platforms and also with facebook and gumtree you can target people that are local. Great to hear that Jason, keep us posted on your progress! I have taken the plunge and just bought my first pallet from marthill, i have Spent £381 including delivery sticking to my original plan of kitchen appliances. Started with small kitchen appliances on this pallet as I think there more eBay and amazon sell able because of postage. Set myself a target of 3 weeks to sell the stock and expecting the £381 to return at least £700 after all the selling fees and postage etc. 34 items in total on the pallet equaling £11.20 per item. Great to hear that Jason! How is the selling going Jason? Be good to have an update. To be honest the first pallet was awful with things missing and what looked like a lot of damaged caused in transit. After selling the few rare gems I picked out the pallet I managed to just about break even.. Selling on ebay is ok but the postage on small kitchen appliances is anything from £15 to £20 an item so eats into your profits very quickly.. I gave it break but now am going at it again with a bigger budget and with a better supplier of stock.. I only ended up buying the one pallet but this time round with the supplier i am using i can buy single units or bulk units of things. Thanks for the update – yes postage is a bit of a killer, after a year or so I managed to get myself in with UK Mail for cheaper delivery, need the volume though. Could try cutting out the middle man when purchasing- you’ll half your costs and probably save some on pallet delivery too. Means more logistics work for you, but easier to make the money. I’ve noticed more people on ebay selling the same goods now – in my world, vacuums and steamers – prices are dropping, plus when new models come out at say Argos, and they put them on offer price, ebay prices for refurbs suddenly seem too high and little sells – quite surprised me just how external market forces affect sales. Did it myself last year, could see a profit but for the hours I put in, I won’t do it again. I’ve moved over to sourcing new goods, and feel better spending my time building sales rather than repairing goods. Also, where electrical goods are concerned there is a certain liability you carry as a repairer, I’ve decided I no longer want that……. It puzzles me as to why the advice is to stay away from returns pallets. The pallets seems to sell very well and not many people pop up on the forums complaining of being ripped off, or not making their money back. If those pallets were such a dodgy deal wouldn´t Marthill and the like have gone out of business long ago? Pallets do sell well, yes, because there’s a never ending stream of newbies who want to start an eBay business etc. But not all clearance companies are bad or sell junk – I have never said that. Same Marthill for example – they have everything graded and grades are clearly explained before you purchase stock. Other companies on the other hand just sell stock without explaining grades and market them in a way that essentially misleads buyers thinking that they are getting a very good deal. Also, clearance lines of brand new items is totally ok to deal with and carry very small risk. So it’s not all black or white. Six weeks and three pallets later…………….Yes I gave it a try, and the results are interesting. Stock wise, the pallets I purchased were generally good quality, although I do feel the wholesale companies are a little cheeky to say the least with descriptive license. Some products are just not repairable and end up being scrap. Some have small parts missing, and those parts are not available…..back to the scrap bin or sale for peanuts. On the upside, perhaps 60% of the items were returns with useful labels explaining the reason for return. I couldn’t believe how many issues were down to customer mistakes, and quick fixes or no fix required was common. Selling these items was easy, they almost sell themselves. I have my money back, with stock still to sell, my profit margin if you like. Speaking of profit margin, forget RRP, most of my sales were between 25% and 50% RRP, some less. So, looking at the purchase cost say 15% or 20% RRP, plus pallet delivery cost, there is 10% to 30% profit, reduced significantly by the ever present fees. Drop in the man hours as you pointed out, to photograph and list each individual item. Also, a hidden cost here is packaging materials, and packaging time, as most items require extra padding for courier delivery, and the positives are starting to erode. Would I do it this way again? No, there is too much time involved, and not enough margin. Plus the liability of any items that fail at the hands of their new owner. On the positive side, the experience has given me a niche to work in, and I have started using wholesalers, specific to my niche, so I have a higher profit margin, always have a source of stock, and a good warranty back up service. I thought I would post my recent experience as it backs up most of what you said, and adds my own perspective. Many Thanks for sharing your experience Scott! Yep, as I say, this business model is time consuming and comes with various risks but it’s great to hear that by doing this you have found a niche and now are on the track to build a more sustainable, long term business! Fantastic post Andrew, and thanks for the mention 🙂 Ill share this as a great resource for my followers and news letter readers as its the best write-up I have come across todate. Hi Andrew, can I request a edit on your page? We have for the past year opened our website up to other wholesalers and sellers to sell there stock on our website, its now more a Platform than a place for us to sell our own stock. 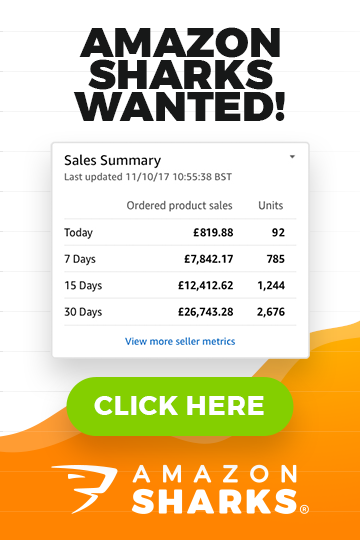 We have over 1000 sellers signed , its free to signup and sell no commission is taken from the sellers money, they get every penny they ask for for there stock. Happy to give you full details or we can talk to discuss. Get in touch with me via help desk and maybe we can do a new post about your platform.